With instant messaging apps, you get the freedom of getting in touch with you loved ones, friends, as well as clients and business partners. With these apps, you will never worry that such messages might fall on the wrong hands either at the other end or during the process of transmission. Australia has advanced in terms of the messaging apps that they are using. Depending with the purpose of communication, Australians use different apps. 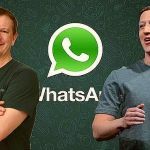 Although Whatsapp and Facebook are still dominating when it comes to instant and private messaging. The following are the seven widely used messaging apps in the country. The Gliph app not only provides you with a secure messaging platform but also offers you with a flexible way of the communication process. This app can be downloaded for free for both Android and iOS smartphones. There is also a PC compatible app. With it you can send messages as well as access the archives from your desktop PC or laptop. The other app that is widely used in Australia is Wickr. This app is available for a free download for both iOS and Android. The apps is great for private and secure messaging. It is also unique in that the user (send) can set a date when the sent message will expire. When this date and time is reached, the sent message is automatically deleted. As the name suggests, the TextSecure app allows you to send and receive instant messages securely. This app is available for both tables and Android phones. Some of the notable features of this app include encryption of all the test messages that you have sent from your phone. These messages can only be decrypted when received by the user who is intended. 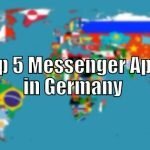 The Facebook Messenger app is almost used in all countries in the world. This app is widely used by the young Australian generation. It is mostly used for fun and marketing, whereby the users chat and share photos. Some companies market their products through this app by the process of referrals. Just like Facebook, the Whatsapp app is also popular in Australia. This app is widely used by the young people for social networking and fun. Users can share photos, tests, short videos, and as well create groups for interaction. The app automatically syncs your contacts. The Imo messenger gives you the opportunity to access all the chat networks and friends that you have from a single contact list. Some of the compatible networks includes ICQ, Google Talks, Skype, Whatsapp, and Facebook. With Imo Messenger you can share video messages, audio messages, photo, and usual texts. SnapChat app is also used widely in Australia. This app allows the users to share videos and photos, but temporarily. The senders will configure a viewing time that ranges from a single to ten minutes. After the lapse of this time, the item will be automatically deleted.